On this Atlantic LP, Charles Mingus introduced his new group which at the time included trumpeter Ronald Hampton, tenor-saxophonist George Adams, pianist Don Pullen and his longtime drummer Dannie Richmond. Together this excellent quintet performed seven recent compositions including one ("Moves") that features the vocals of Honey Gordon and Doug Hammond. 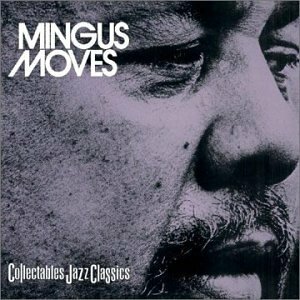 Only three of the pieces are by Mingus but all of the music is greatly influenced by his searching and unpredictable style. Recorded: at Atlantic Recording Studios, New York, New York on October 29-31, 1973. Personnel: Charles Mingus (bass); Honey Gordon, Doug Hammond (vocals); George Adams (tenor saxophone, flute); Ronald Hampton (trumpet); Don Pullen (piano); Dannie Richmond (drums).